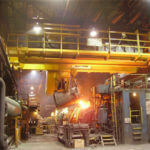 The steelmaking process is complex and diverse, requiring a variety of different types of cranes. Depending on the specific characteristics of each production process and the production environment, it is essential to select the lifting products that meet the requirements for producing high quality steel mill crane products. So it is very important for you to choose a proper tundish crane to improve your steel mill work efficiency and increase your productivity. 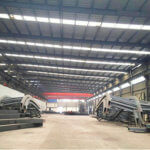 Ellsen machinery company as designers in manufacturing dedicated cranes in accordance with the characteristics of steel casting process to produce lifting products consistent with the iron and steel continuous casting process, helping to improve the steel industry production efficiency and reduce energy consumption. In accordance with the characteristics of the industry production processes, it is reasonable for you to make the appropriate choice in selecting lifting products, which help to reduce investment and operating costs, to achieve energy conservation. 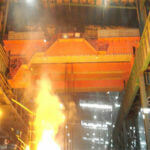 At present, there are two main ways of steelmaking: EAF steelmaking and converter steelmaking. However, the above two process has certain similar requirements. 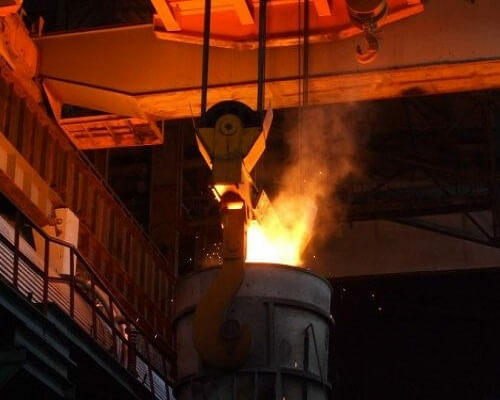 And the process flow of converter steelmaking and continuous casting is divided into three stages: first, the hot metal smelting; Secondly, molten steel refining; and the last one is slab continuous casting. The process which includes the supply of raw materials (hot metal and scrap), hot metal pretreatment, converter blowing, furnace refining, molten steel transportation, treatment, continuous casting of molten steel (continuous casting) and billet transport handling process. The following we provide you with the main cranes employed in the steel melting industry. 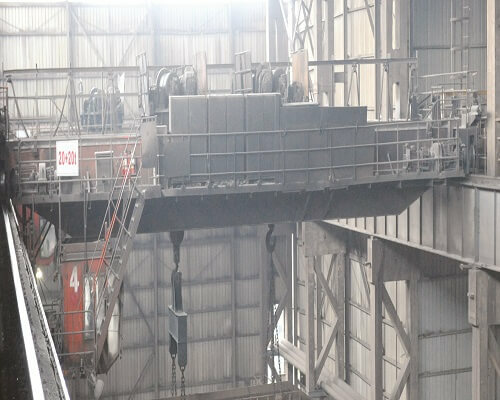 Tundish crane is mainly used in the continuous casting of steel smelting stage, and the slab continuous casting stage: the continuous casting process refers to the large180 rotating turntable, which pours the molten steel in the molten steel tank into the middle tank, then the middle tank shunts the molten steel to the continuous casting machine. Continuous casting machine casts billet on the billet roller through the cut to form a length of slab, and then using the slab gripping crane (or electromagnetic hanging beam, material rake crane) transport the slab billet for storage. What kind of configuration and characteristics of the Tundish crane? The most vital attention of you is also our key points of manufacturing. Here, we will provide you some information on the high-level configuration of the tundish handling crane. It adopts the speed control system, can greatly improve the operating performance of the crane. And it also increases safety and efficiency in your workshop. Small impact of braking, and running smoothly, is the mainstream of current products program. From the performance point of view, frequency control system is superior to the voltage regulator system. At the same time, it can also achieve energy saving through energy feedback; but when the motor power is bigger (> 200kW), the voltage regulator speed system is superior to the frequency speed control system. Therefore, according to the one-time investment scale of equipment, production scale, cost-effective and energy-saving environmental protection requirements, the mainstream of the current speed control system is divided into two types: full frequency and lifting voltage regulator + running frequency. 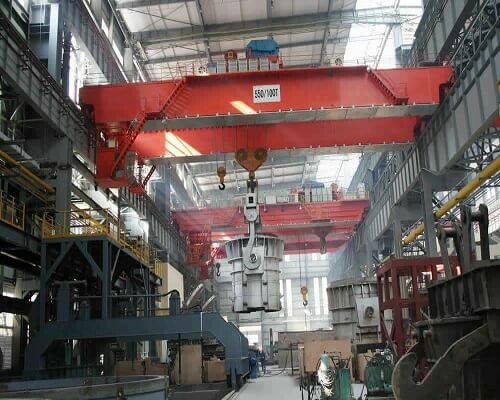 The continuous casting machine is charging crane beam with six-track double-car, dual-beam double-track single-car double hook, double-beam four-track dual-car and dual-beam dual-track child-mother car. Tundish crane has hooks where appropriate lifting devices for the tundish cranes can be hung. And it performs material transport between different machines in the rolling mills. So that is the reason why our crane products rank leading places at home and abroad. So do you have any problems in crane selection in your work shop? If so, please let us know. And we are glad to serve you. It belongs to same product family as ladle cranes. And they also share many same features. Through the hardworking of our engineer and the high technology of our company, the tundish crane is more adaptable to the harsh working environment. Meanwhile, you can also use it in some other fileds. So, it will decrease your cost in some other kind of lifting machines. These cranes are used to change tundishes from continuous casting machines. The reliable and effective operation of cranes is a key issue for uninterrupted casting. 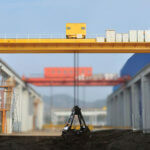 However, what is the advantage of our tundish handling cranes? The crane is able to handle the radiant heat from the product. In order to reach the standard of smooth, we adopt advanced automation technology to get the accurate positioning of the load. Through this function, our cranes are not only able to improve the safety but also reach a better productivity. We have produced several hundreds of tundish crane, they are successfully operating at many steel plants. Because of the high quality of our cranes, the reputation of our company has been strongly built by the satisfacsatisfactioncustomer. We manufacture a range of products for different applications in the steel industry. We customize and recommend the perfect solution to you. So if you have any requirements, please let us know. What is the detailed information of the Metallurgy cranes? we also provide you Metallurgy cranes, you can learn more from the following information. 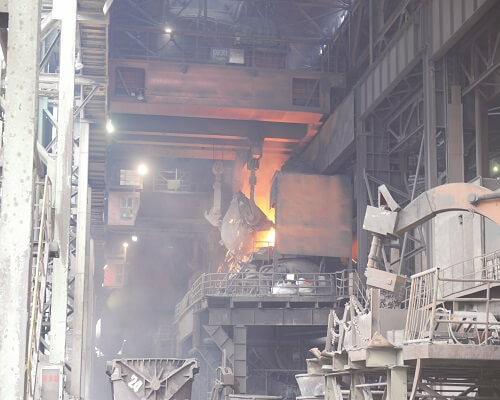 The Foundry crane is the main equipment for steel smelting production. While the steel mill ladle cranes are used to move steel or iron ladles in steel smelting workshop with high temperature and a lot of dust. All these kind of cranes, you can choose for your steel mill in Ellsen. Here are some specifications of this kind of cranes. If you would like to know more, please check out our other pages for other hot sale products in Ellsen, such as the electromagnetic overhead crane with carrier beam, the double girder gantry cranes, they are all available for you. If you want more specific design, we can make it according to your requirements. So if you have any demands, it is our honor to make some advice for you. The above information, we provide for you, we hope it will be helpful for you. So, when you want to buy double girder bridge cranes, it will be useful for you to take this information into consideration. A brief overview of Ellsen Machinery Co., Ltd.
Ellsen Machinery Co., Ltd. is a well-known supplier and manufacturer of cranes, specializing in material handling solutions. We offer top quality and best prices, such as single girder cranes, double girder cranes, grab cranes, workstation cranes, cantilever cranes and other types of overhead cranes. In addition, in order to meet the actual needs of customers, we can also customize different tons of cranes, small cranes and heavy cranes. We have exported our products to more than 50 countries and regions, such as South America, North America, Australia, South Africa, the Middle East, Asia and Europe. We sincerely look forward to working with customers around the world. So as to establish long-term cooperation and friendship. Here is a sound and systemic service for you in cranes’ selecting, providing, operation, safety, maintenance. If you would like more information about steel mill cranes, please keep us in touch. We will extend our best services for you. And we can also be helpful for you to purchase the other parts of the crane. So, if you need these quality products, we will be glad to provide them to you at a reasonable price. 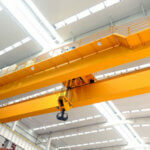 Would like to get the casting overhead crane price? Let us know.